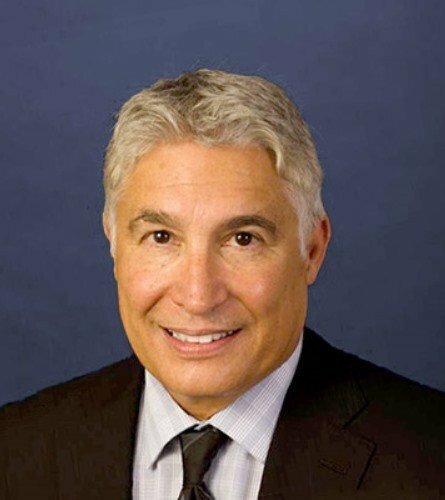 Larry Kosmont is the President and CEO of Manhattan Beach, California-based real estate advisory firm Kosmont Companies. The guest list of the event, held at the LA Times building, was impressive. It included California State Representative Judy Chu and former Los Angeles Mayor and current California gubernatorial candidate Antonio Villaraigosa. The attendees included leaders of large organizations, citizen groups and members of multiple Chamber of Commerce organizations. The element conspicuously not in attendance was anyone from the real estate community. This, along with some really succinct insights by Larry, got me thinking about the lack of political engagement within real estate. So, I cornered Larry after the event (in the bathroom to be exact) and asked him for an interview. The takeaways from our conversation really opened my eyes to the changing political nature of real estate, the increased ability to gauge and participate in political conversations, and the way technology is driving the change in both of these departments. As Larry was quick to point out, there has always been a segment of the real estate industry that has been quite active in politics. “The front end of the development cycle is where the greatest governmental interaction takes place,” he told me. “Successful developers tend to become visionary leaders in the community. Groups like The Urban Land Institute are built on the concept of urban design and architecture leading communities to a better life.” But, this only amounts to, by Larry’s calculation, only about 20% of the real estate industry. The bulk of us deal with existing buildings. Partially because that is where the majority of the activity lies and partially because many see dealing with cities and counties on new development as “a little dysfunctional,” as Larry puts it. But, external forces might be bringing the political world into the purview of the non-developmental real estate industry. Technology and societal norms have changed the way we use space. The most obvious example of this is what the media has labeled the “retail apocalypse.” The percentage of purchases made online is growing steadily and according to this U.S. Census data is up 14.7% from this quarter last year. For Larry, the outcome of this monumental shift is obvious: “This means that every property owner and broker needs to understand where the communities are going and how they view your properties as it pertains to change of use.” The decrease in demand for retail will force municipalities to rezone. Due to this, even existing properties are going to be exposed to local governments’ wishes. Rather than just leasing or selling properties to be used in the same way as it has been before, real estate professionals will increasingly have to look at the possible future use as dictated by a city’s plan. “This should be a wake up the other 80% that they need to understand where the government is going,” Larry warned. There are some communities that are at a war with growth, others are much more passive on the issue. Some communities are desperate for private investment, so economic development is what they wear on their sleeve. Now, technology is giving us other great ways to understand societal sentiment. Larry has helped develop a technology based outreach program for developers and cities which enables increased transparency and expanded constituent participation in the community conversation about proposed development projects or upzoning efforts such as a Specific or Transit Plan. Called Digital Community Outreach or DCO, cities and developers now have a tool to use social media productively and equitably, and not have it imposed on them by an overinvolved minority of citizens often referred to as nimbys (not in my backyard) or naysayers who use social media to promote a bias. “Social media like Facebook, LinkedIn and Nextdoor have a trove of data about what people are talking about. It is important to follow consensus builders and decision makers and read their blogs if they have them,” said Larry. After understanding the issues and the major players it is then possible to create an interactive project internet site with images and information that is honest, transparent and tactical. Social media can be a tool for the real estate community as well as the public sector; people are too busy to come to a neighborhood meeting but every generation is reachable interactively through their smartphone or on the internet. DCO broadens the conversation about zoning, projects and what a community truly desires which at some acceptable level is the presumed result that cities and developers must achieve. Becoming seen as a force for good in the community isn’t easy. “It doesn’t happen overnight,” according to Larry. But, it is doable and it is increasingly important. By doing so you can have a better understanding of where the opportunities are by knowing where the zoning and use changes are most likely to be made. As professionals we are often guilty of seeing the buildings and land we work with as merely assets. It is important to remember that for the people that live and work around them they are so much more. The advice that Larry gave that stuck with me the most is probably the reason that so many real estate professionals stay away from the political sector, “This isn’t the commercial world, this is the emotional world.” Emotions are imprecise, hard to define and liquid, but that doesn’t mean that we can’t understand them. Technology is changing the way we use space, but thankfully it is also helping us understand the direction that the change is taking us.